OPEN HOUSE SUNDAY MARCH 24th 2-4PM! JUST REDUCED! 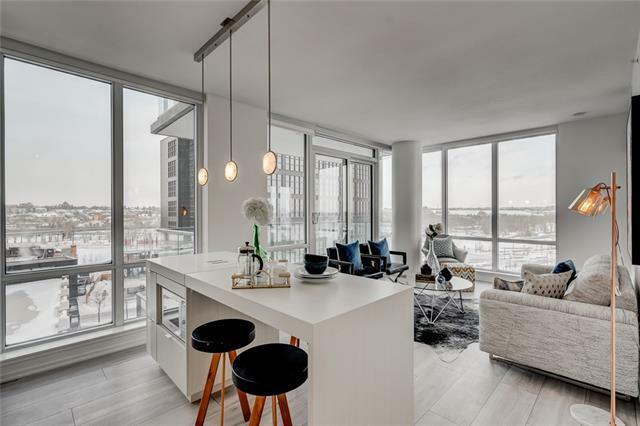 Floor to ceiling windows with river views! 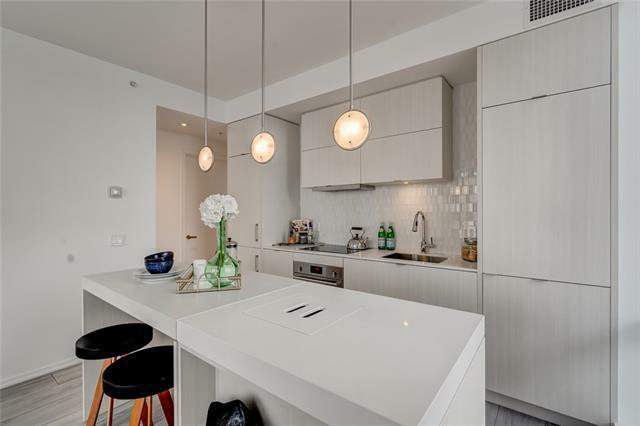 This corner unit features 2 bedrooms and 2 baths with an abundance of windows providing a bright and airy feel. 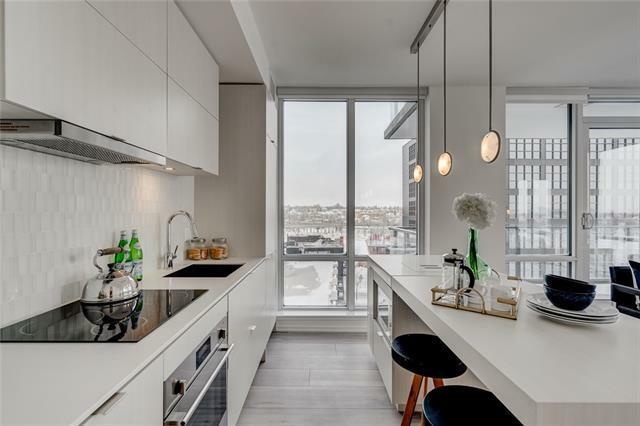 Modern finishings throughout include wide plank flooring, a large kitchen fitted with a high end appliance package, thick stone countertops, and European flair, while an open concept living space provides access to a huge patio stretching the length of the unit. The 2 bedrooms are on opposite ends of the living space which is great for when guest stay over, and there are 2 full bathrooms including the private master ensuite. This home is brand new never been lived in and located in the highly desired community of East Village. Walk to work, shops, the new library, and numerous paths along the river. Plus, this is a full service building featuring heated underground parking, storage locker, party room with a huge terrace including a hot tub, large gym facility, concierge service, and so much more.